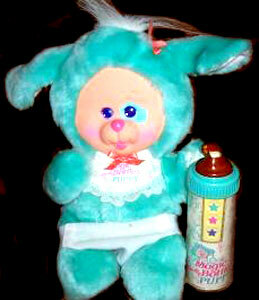 "You can make them laugh, cry, drink and burp!" 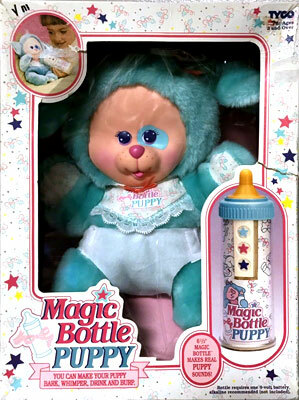 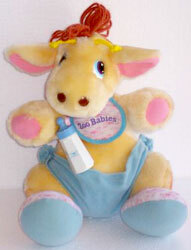 Magic Bottle Pets were produced by Tyco in 1991- 95 and were part of the Magic Bottle range, which included newborn babies and older baby dolls. 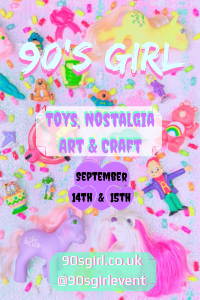 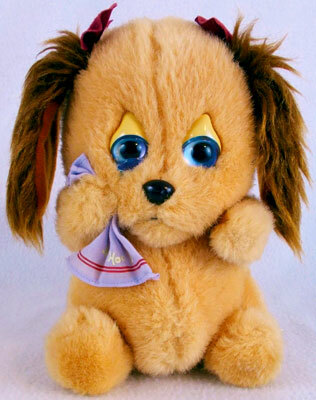 Images on this page thanks to Knot a Toy, Miss Leonie and eBay sellers endoftherainbow & vintage_toys_and_treasures ! 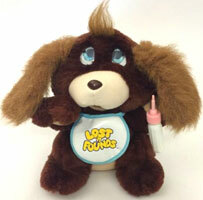 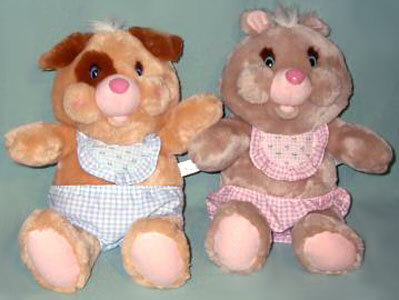 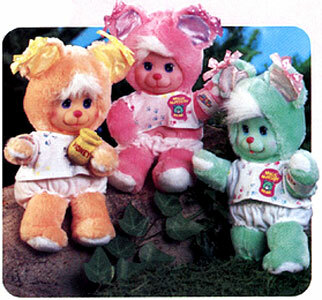 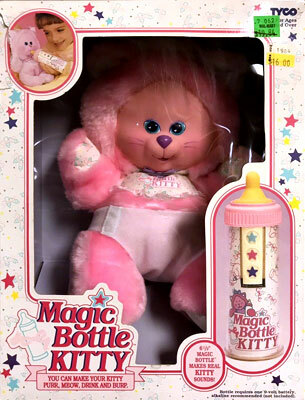 There were three original Magic Bottle Pets produced in 1991; a purple bear, a pink kitten and a blue puppy. 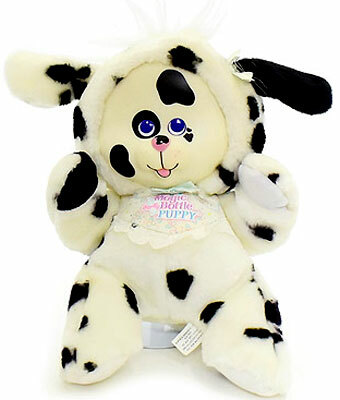 Later on a black & white dalmation puppy was added (also dated 1991). 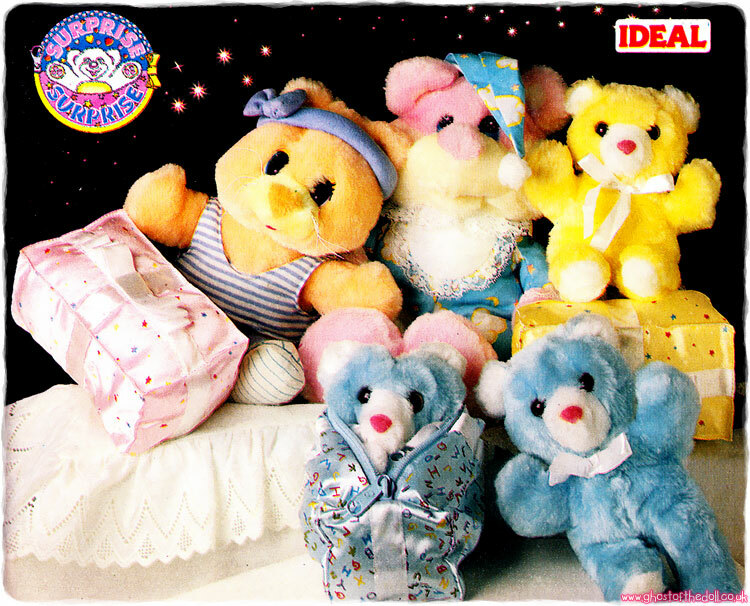 They were about 12 inches high and came with a stitched on bib, removable nappy and a 6 inch bottle with "Bear", "Kitty" or "Puppy" on it. 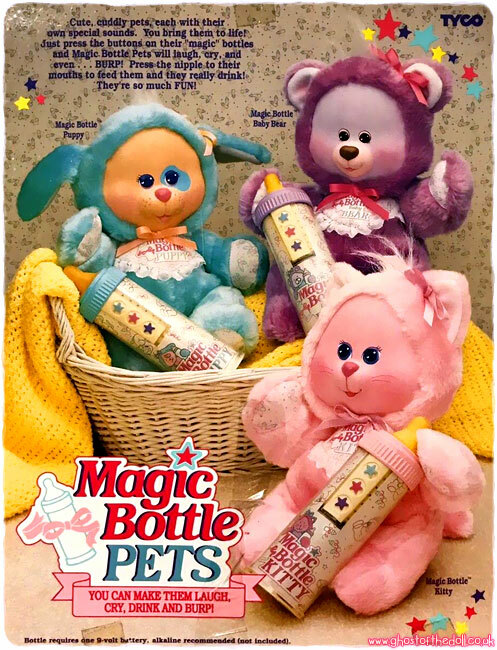 The bottles they came with had three coloured buttons which when pressed made three noises, different for each pet. 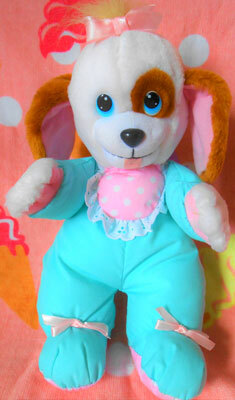 The dalmation was presumably added after the original three as it doesn't feature on the original back packaging. 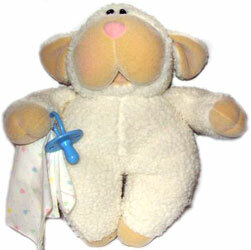 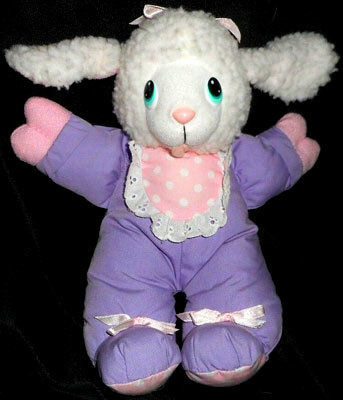 I've also found two pets dated 1995 (a lamb and a puppy), which have a different look.